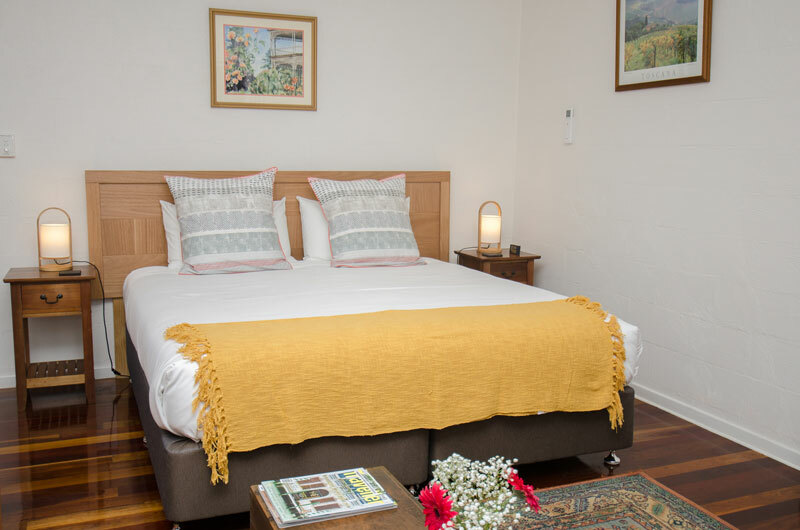 * Bookings for 3 nights receive a complimentary bottle of wine. * Bookings for 4 nights or more receive complimentary bacon, eggs, juice, milk, bread. – an in-house mobile service in the privacy of your own cottage. 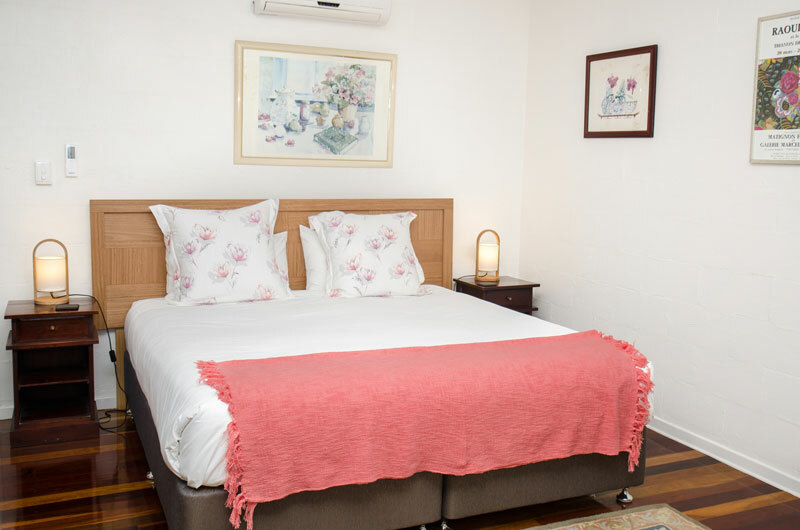 A lovely cottage with a separate bedroom which caters for small families, featuring a king bed and a king single bed. A foldaway bed with linen is available for a child upon request for an extra charge. The bedroom has split system air-conditioning and a ceiling fan in the living room. There is a spacious living area with a wood heater plus a full kitchen and dining area. 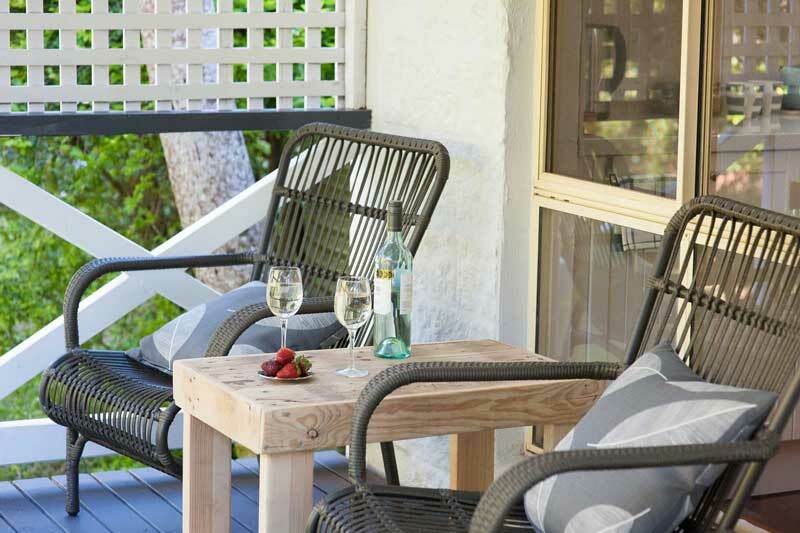 A large verandah with a Weber Baby Q BBQ means you have everything you need to relax, have fun and de-stress. 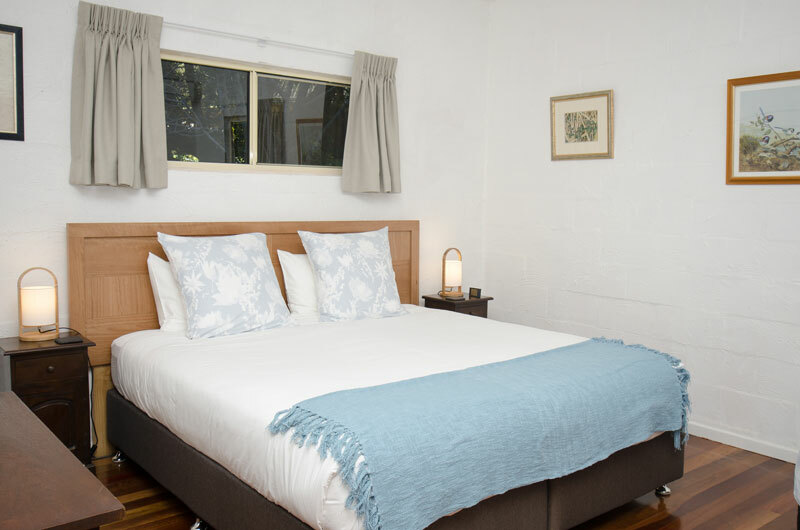 Blue Wren is the ultimate choice for couples in need of relaxation, families for a fun weekend away, avid bushwalkers and bird watchers and those who love to be outdoors, or alternatively relaxing in front of the fire with a good book. To confirm a booking a deposit of one night’s tariff with be deducted from your credit card with the balance to be paid on arrival. * If booking is cancelled up to 7 days prior to arrival then a refund will be given with a $50 administration fee deducted. * There will be no refund of a deposit within 7 days of arrival date. * If a cancellation is made within 24 hours of arrival date then the full amount of the accommodation will be charged. 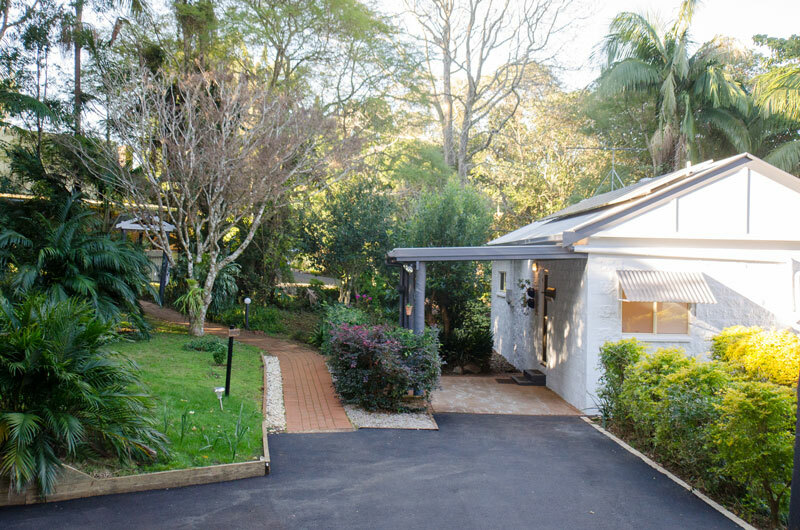 This is a self-catering studio cottage and is nestled in the middle of the property, surrounded by gorgeous gardens. Sit back and relax on the verandah, listen to the birdlife and enjoy a bottle of wine with a cheese platter from the local delicatessen. 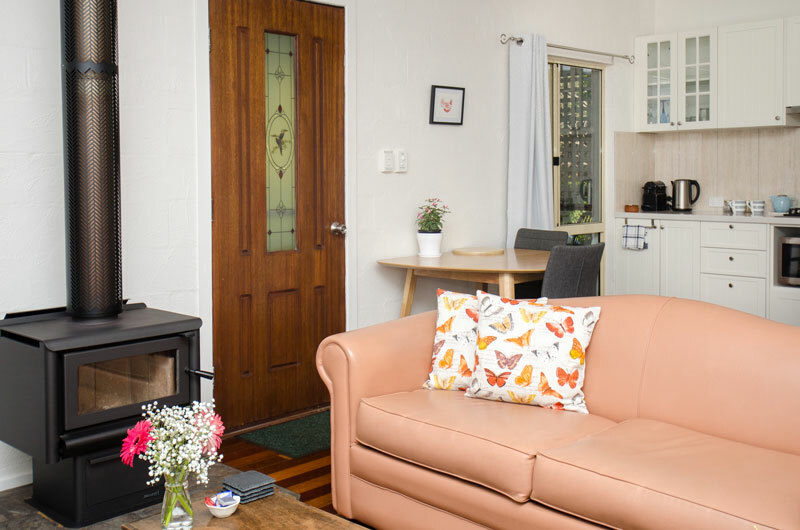 Inside the large studio cottage you can enjoy the cozy warmth of a wood burning fire, king bed with quality linen, full kitchen including pod coffee and dishwasher for your convenience. 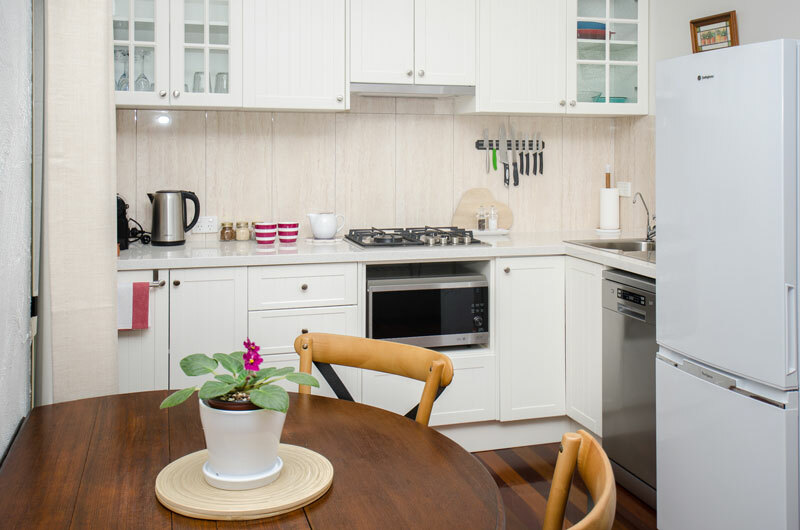 Kookaburra Cottage is light and airy and the ideal destination for a relaxing getaway. 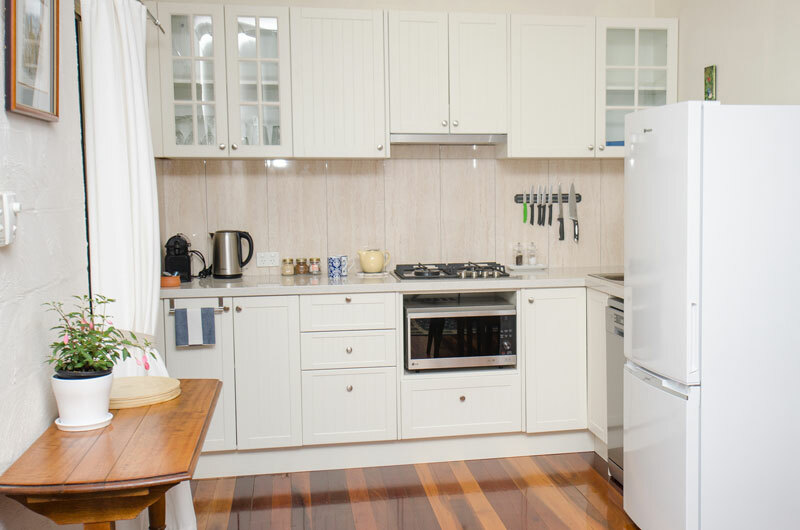 Rose Cottage is a self-catering studio cottage similar to Kookaburra Cottage but is situated at the front of the property with a private verandah and garden. Ideal for those seeking privacy or a romantic getaway. 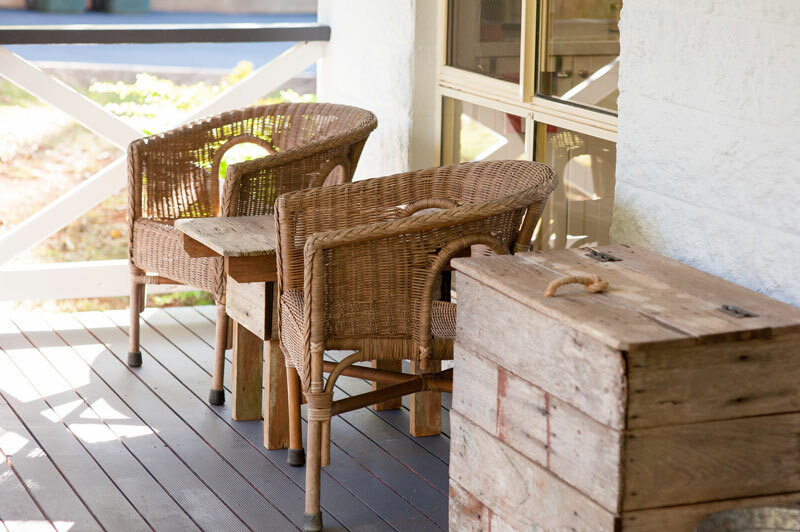 Relax on the verandah with a glass of wine and listen to the birdsong, or warm yourself in front of a cozy fire during the cooler months – an opportunity not to be missed.